Seafood | Om nom nom! 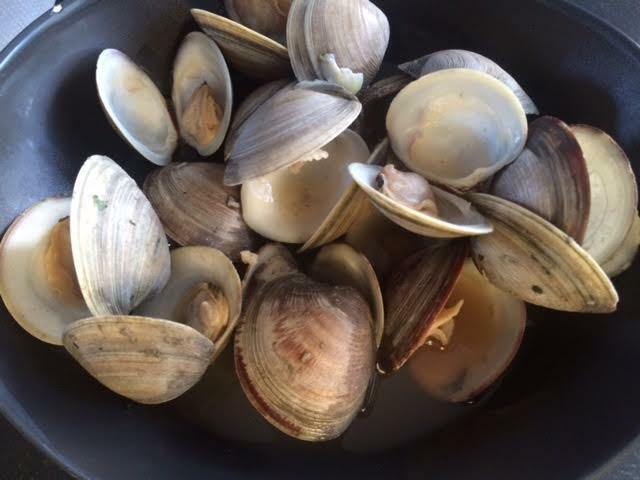 Steamed clams are one of our favorites, since we both grew up on steamers. 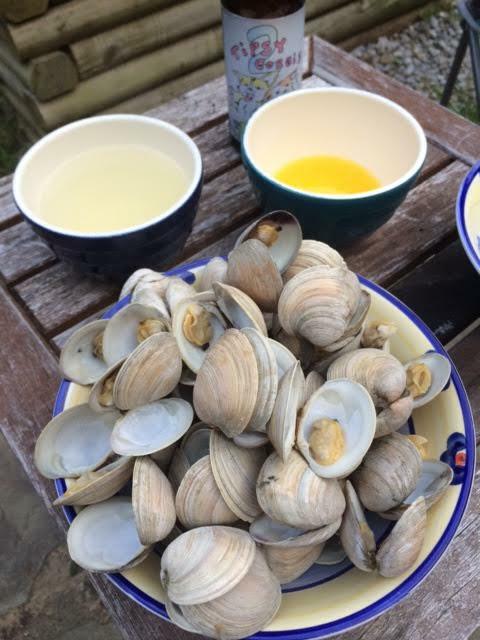 It’s hard to find them down here, but we did get some cherrystones today, and they were great steamed in a beer, garlic, and parsley broth. 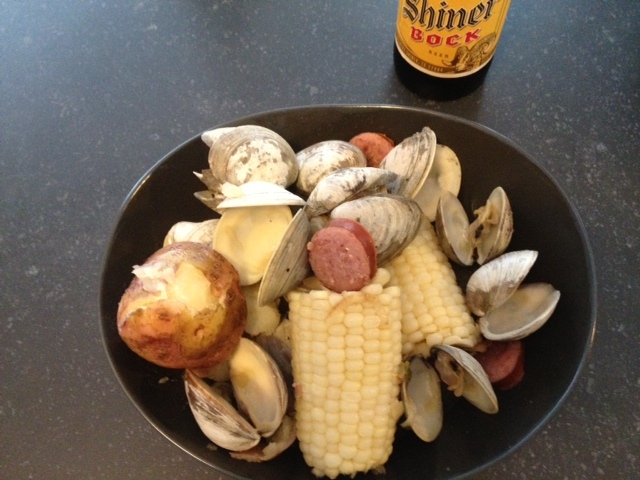 We had this with corn on the cob, grilled kielbasa, and a baguette to soak up the broth – a great end of summer dinner. 🙂 And it doesn’t get much easier than steamed shellfish! We were looking for a quick, light weeknight summer meal and this was great. 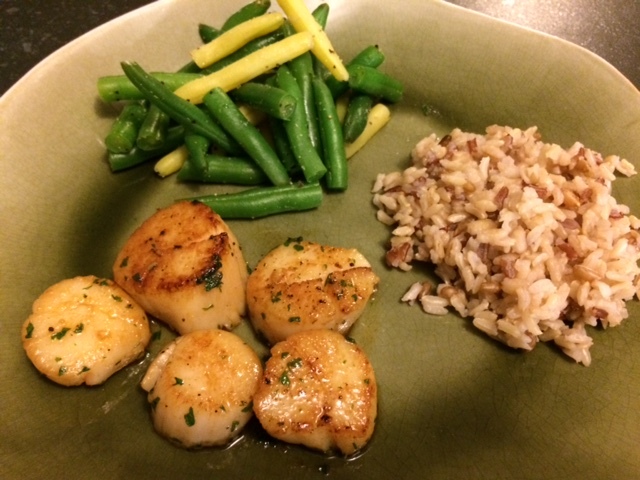 I feel like there are only so many ways to prepare scallops (my preference is always seared), but we really liked this sauce! 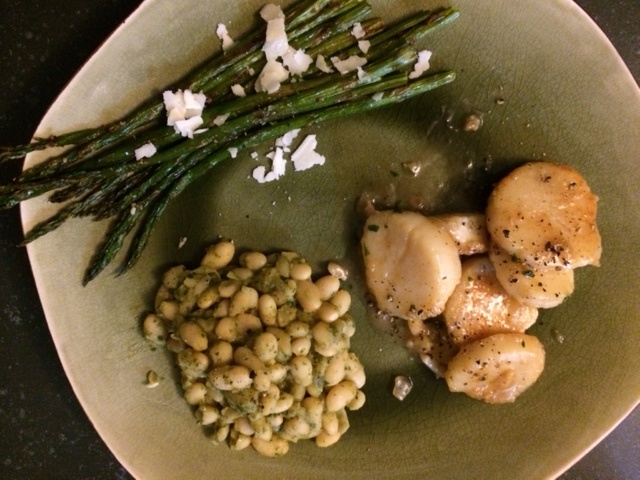 From Bon Appetit, I made it pretty much as listed except I dusted the scallops with flour for a nice sear, and cut out the lemon peel – we don’t love things too lemony. We had this with sautéed squash from our garden and some steamed broccoli (and some of the wine used to cook the scallops 😉 ). 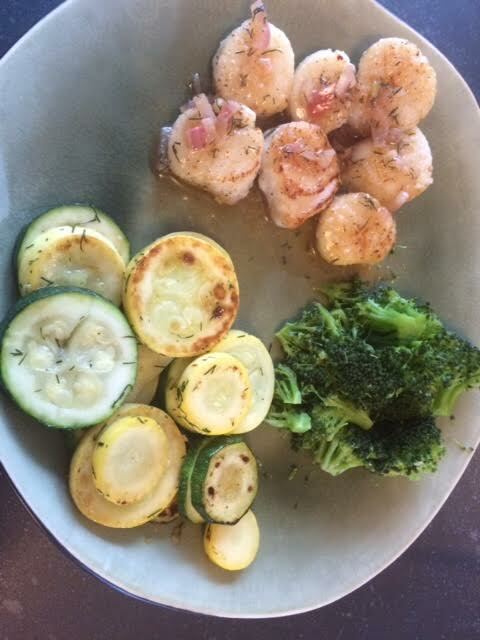 This was a winner from Cooking Light. I did a lot of subbing, since I am doing the 21 Day Fix, and while this meal fit with it perfectly, a couple of tablespoons of oil didn’t. 😉 But this actually seared quite well in cooking spray, and it was really great. We had this with steamed string beans and a brown rice mix. 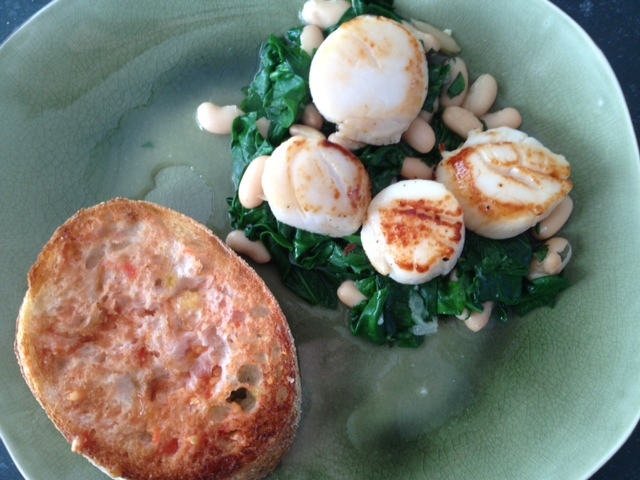 We love anything scallops, and this was a great quick weeknight meal. The sauce created from the bean/spinach mixture was great, though next time I might thicken it up a bit. We served this with tomato bread for a nice dinner. This one came from Cooking Light.